Clay Epstein’s Film Mode Entertainment is pleased to announce the North American release of "BROKEN GHOST." Written by ABE POGOS & CATHERINE HILL (SUGAR MOUNTAIN) this captivating and haunting film tells the story of one girl’s struggle with bullies and her rise to confront her demons, starring SCOTTIE THOMPSON (12 MONKEYS, THE BLACK LIST, STAR TREK). The talented female-driven cast is further bolstered by NICK FARNELL (WHERE THE WILD THINGS ARE, THE MULE), DEVON BAGBY (RAY DONOVAN) JOY BRUNSON (THIS IS US, SHAMELESS), GEORGE GRIFFITH (TWIN PEAKS) and introduces a stellar performance by up-and-comer AUTRY HAYDON-WILSON. 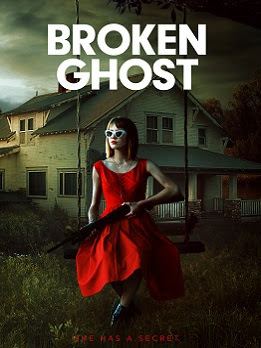 "BROKEN GHOST" will be distributed by Film Mode Entertainment and available across major digital platforms and VOD in North America starting on February 12, 2019. Eager to make a new life for herself, Imogen must overcome new tormentors, old secrets and a strange presence in the attic. Film Mode Entertainment is distributing the film as well as representing worldwide rights on "BROKEN GHOST."